An evening pause: Recorded live in France, 1969. Though the song, in style and content, looked back at past generations when it was released late in the 1960s, it today tells us more of the strong conceits of the baby boom generation. Hat tip to Edward Thelen. Five years after the last shuttle repair mission, the Hubble Space Telescope continues to operate almost perfectly. The ACS, like the repaired Space Telescope Imaging Spectrograph, no longer has any internal redundancy. “It’s amazing. It truly is,” Jeletic said. 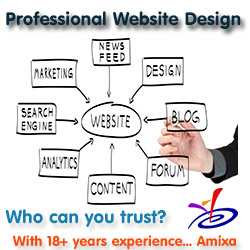 “Given all the things that can fail, a lot of people were hoping for one or two years of continued work with it. Now we’ve gotten over five.” Likewise, the Space Telescope Imaging Spectrograph, which also is operating in “single-string” mode, is still going strong. When they completed the 2009 servicing mission, the goal was to give Hubble five more years of operation. They’ve done that, and are now looking to keep the telescope going till at least 2020, marking 30 years in orbit. The only issue, not surprisingly, is the failure of one of the six gyros on board. These have traditionally been the telescope’s biggest problem, and have been replaced twice over during shuttle missions. Three of today’s six however are using a new design which will hopefully extend their life significantly. The Fermi Gamma-Ray Space Telescope has discovered that novae, small scale stellar explosions similar to some supernovae but far less powerful, also produce gamma rays when they explode. A nova is a sudden, short-lived brightening of an otherwise inconspicuous star caused by a thermonuclear explosion on the surface of a white dwarf, a compact star not much larger than Earth. Each nova explosion releases up to 100,000 times the annual energy output of our sun. Prior to Fermi, no one suspected these outbursts were capable of producing high-energy gamma rays, emission with energy levels millions of times greater than visible light and usually associated with far more powerful cosmic blasts. What is significant about this is that it demonstrates a solid link between novae and supernovae, since only recently have scientists shown that some supernovae also produce gamma ray bursts. It suggests that the two explosions are produced by somewhat similar processes, but at very different scales. This fact will have important ramifications in the study of stellar evolution and the death of stars. For example, some nova stars often go nova repeatedly. Other data suggest that some more powerful eruptions can be recurrent as well. Extending this recurrent pattern to supernova suggests many new theoretical possibilities. These people should be fired, then imprisoned: The CIA today admitted that illegally hacked into the Senate’s computer system. Oh wait, I have a better idea! Let’s put them in charge of our healthcare and patrolling the borders and our tax system and space exploration and climate research and any number of other important issues of the day in which we need honesty, ethics, reliability, and competence! We never tried to impeach Bush, says Democratic lawmaker who co-sponsored Bush impeachment bill. What really depresses me about this story is not that the Democrat lied so blatantly but that she did so because she knew that her supporters are so wedded to her and her party that they will accept what she says without question. She knows she can get away with it. Finding out what’s not in it: A new GAO report cites epic management incompetence in the Obama administration that caused the disastrous Obamacare website failure. Among the issues, investigators found that the administration kept changing the contractors’ marching orders for the HealthCare.gov website, creating widespread confusion and adding tens of millions of dollars in costs. Changes were ordered seemingly willy-nilly, including 40 times when government officials did not have the initial authority to incur additional costs. As I’ve said repeatedly, when you ask the equivalent of the Department of Motor Vehicles to run one-sixth of the U.S. economy, you are guaranteeing this kind of failure. Worse, it is not as if this hasn’t happened before. We have had plenty of experience with failed and bungled government operations in the past four decades. Why do we then demand that we entrust more of our lives to their control? As Albert Einstein wisely noted, the definition of insanity is doing the same thing over and over again and expecting different results. As the Moon solidified, its rotation caused it to elongate along its polar axis. But because the length of the Moon’s rotation was the same as its orbit, with one hemisphere always facing the Earth, the tidal force of the Earth’s gravity then pulled at the center, distorting the Moon’s shape so that one hemisphere bulged Earthward. This theory is not new, but these new calculations are more robust, lending greater weight to it. Fifty years ago tomorrow Ranger 7 took the first close-up images of the Moon, just before the spacecraft crashed onto the surface. At the time—50 years ago tomorrow—Burke was one of the first people on Earth to see what the surface of the Moon looks like up close. Early on the morning of July 31, 1964, he joined his colleagues in poring over a series of printed photographs, the pockmarked Moon getting closer and closer until one final blurred image marked the moment when Ranger 7 impacted the surface, making its own brand-new crater. A stripe of static along one side of that last photo indicated the interruption of the final transmission. The article details the frustrating history of the Ranger program, with the first six attempts all failing. Ranger 7 succeeded, however, working so well that the last image actually got truncated at impact. The full set of images revealed the surprising cratered history of the Moon, with the impact rate of large to small craters far more complex than expected. Using computer models based on the Moon’s crater record, scientists have developed a simulation of the great early bombardment of the Earth around 4 billion years ago. The model suggests that the biggest asteroids to hit Earth would have been as large as 3,000 kilometres across. Between one and four would have been 1,000 kilometres wide or larger, it predicts, with a total of three to seven exceeding 500 kilometres in width. The most recent of these would have hit around 4.2–4.3 billion years ago. In comparison with Earth’s mass, the amount of rock hitting the planet would have been tiny. But it would have had an enormous effect on Earth’s surface, says Marchi. A 10-kilometre-wide asteroid was enough to kill the dinosaurs, and studies4 show that one 500 kilometres across would vaporize all of the planet’s oceans. “At 1,000 kilometres, the effects would be so wide the planet would probably be completely resurfaced with material from the mantle,” he says. More here, including animated gifs showing this bombardment unfold. Today’s 67P image + the comet’s coma! Today’s Comet 67P image from Rosetta above is actually an image from yesterday, refined and cleaned up by the spacecraft’s science team. The July 30 image can be found here, but it isn’t as interesting. 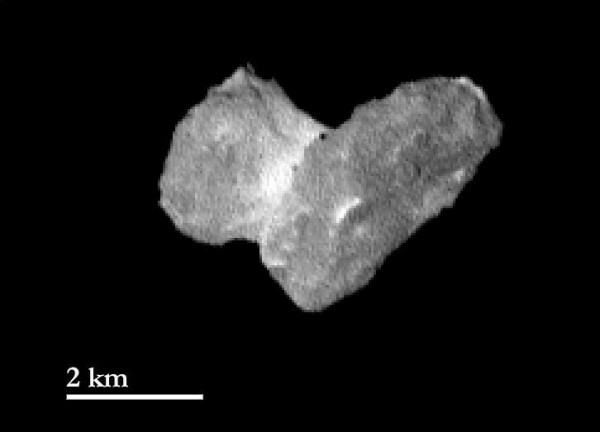 The image above was included in a press release that describes the effort by Rosetta to image the coma that surrounds this nucleus. Clarence was instrumental in making flat-picking guitar a lead solo instrument in bluegrass, along with Doc Watson. He played as a session musician for many groups in the 60’s such as the Everly Brothers and The Monkees. Later he became the lead guitarist for Roger McGuinn’s Byrds. He developed the B-string bender invention that you can hear on the Eagles’ song “Take It Easy.” Sadly, in 1973 while packing up the band’s van after a late night gig he was hit by a drunk driver and was killed. A huge loss to music. This video was recorded in LA only a few months before that fateful night. Enjoy a true virtuoso. The U.S. State department is claiming that China completed a “non-destructive” anti-satellite test last week. The State department also demanded that China refrain from further such actions. China in turn said that the test was for a a ballistic missile defense system. According to these Chinese reports, the test was of a land-based missile designed to intercept an incoming rocket, much like Israel’s Iron Dome and the U.S. SDI systems. Such a system, however, is in many ways indistinguishable from an anti-sat system. In fact, the U.S. military proved that by firing a missile that successfully destroyed an orbiting satellite several years ago. In the case of last week’s Chinese test, the interceptor did not apparently impact anything but instead demonstrated its ability to hit a prearranged simulated point in space. The left’s fascist war on anyone that dares disagree with them. In this case the war was against Roger Pielke, a well known and respected scientist with many peer-reviewed papers with thousands of citations by others in the climate field. Working for the Democratic Party: In newly revealed emails, Lois Lerner refers to Obama’s conservative opponents as “–holes” and “terRorists”. In that Nov. 9, 2012 email, Lerner further suggests that conservatives will ruin the country: “So we don’t need to worry about alien teRrorists (sic). It’s our own crazies that will take us down,” she wrote. The evidence also shows that Lerner used her private email account to conduct official IRS business, while also clearly favoring liberal organizations. I wonder what we would find if those lost emails could turn up? Because of technical and financial issues the European/Russian ExoMars rover mission is expected to miss its 2018 launch window. The main reason for the delay would be the ExoMars’ brand-new landing system, which is designed to safely take the rover through a fiery descent in the Martian atmosphere and then softly land it on the surface of the Red Planet. In addition to its late development start, the landing system has a complicated share of responsibilities between Russia and Europe, which greatly slows down the work. For example, the overall landing system is being developed by NPO Lavochkin in Moscow, while its parachute system will be provided by Europe. Many other aspects of the mission are similarly intertwined. To further complicate matters, NPO Lavochkin, which traditionally builds all Russian planetary probes, but also some of the highly classified military satellites, is notorious for its Soviet-style secrecy. As a result, it is harder for the two sides to coordinate the work, Europeans sources said. Finally, the translation of documents between Russian and English further delays the work on the project. The program is also significantly over budget. 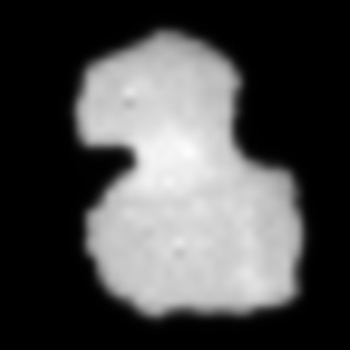 Today’s Rosetta image of Comet 67P shows that the spacecraft has gotten close enough, 1,200 miles, for several distinct features to become visible, including two large craters, one on each of the nucleus’s two sections. The competition heats up: A New Zealand company says it is building a rocket capable of launching cubesats into orbit for only $5 million. Rocket Lab says it is building a carbon-composited launch vehicle –named Electron—which will send small satellites into earth’s orbit for five million U.S. dollars. The U.S. company, which is building the vehicle in New Zealand, expects the first to be ready next year and already has committed to its first 30 launch slots. Though their low cost will once again increase the space launch customer base, they are not really in competition with any of the big players, who don’t really make their money launching cubesats. Instead, by focusing on the cubesat market, Rocket Lab is aimed at providing launch services to a niche that has, up until now, had no real launch services. If a university or small company wanted to launch a cubesat., they had to piggyback on a large launch. Arianespace today successfully launched the last European cargo ship to ISS. After doing some flight tests in orbit and in conjunction with ISS, the docking will occur on August 12. After this flight the Russian Progress freighter will be the only spacecraft with engines capable of changing the station’s orbit. It will also be the only spacecraft capable of refueling the engines on ISS’s Russian modules. The uncertainty of science: New research by astronomers suggests that the Milky Way is about half as massive as previously estimated. In the sixties I remember astronomers claiming that the Milky Way was twice as big as Andromeda. Then it was considered half as big. Most recently it was considered about the same size. This new research makes it half as big as Andromeda again. In other words, the data is very uncertain, and the scientists really don’t have a good handle on it. None of these conclusions should be taken very seriously. All we really know at this point is that the Milky Way and Andromeda are approximately comparable. The competition heats up: For the first time in six months SpaceShipTwo completed a test flight today. In January, SpaceShipTwo blasted off for a powered test and sailed through a follow-up glide flight, but then it went into the shop for rocket refitting. It’s expected to go through a series of glide flights and powered flights that eventually rise beyond the boundary of outer space (50 miles or 100 kilometers in altitude, depending on who’s counting). Hopefully this test flight indicates that they have installed the new engine and are now beginning flight tests with equipment that will actually get the ship into space. An evening pause: Watch Jean Arthur and Joel McCrea in the classic kiss scene from The More the Merrier (1943). Hat tip to Phil Berardelli, author of Phil’s Favorite 500: Loves of a Moviegoing Lifetime (2014 edition). The evil returns: In Germany a synagogue is firebombed and a rabbi gets death threats merely because they are Jewish. Reading the comments and the amount of childish hate that exudes from too many of them will certainly depress you. After numerous tries, the private effort to put ISEE-3 back into its original orbit has failed. We have completely accomplished all of our original goals except for one: firing the ISEE-3 propulsion system in a sufficient fashion to alter its trajectory. We did operate the propulsion system briefly so as to correct the spin of the spacecraft, and to start the trajectory correction maneuver. The propulsion system works fine. The problem is that there is no longer any Nitrogen pressurant left in its tanks to allow it to work. 36 years and more than 30 billion miles have taken its toll on the spacecraft’s propulsion system. We have exhausted every option to bring the engines online so as to conduct the correction maneuver required to place it in its planned orbit. Without the pressurant it just won’t work. Have they given up? No! Though the spacecraft will remain in a solar orbit where maintaining communications will be difficult if not impossible, they are going to try anyway, and are even going to run another crowd-sourcing campaign to finance it. Black leaders in Fresno, California want to stop the hiring of a teacher merely because his skin color happens to be white. On Monday morning, a small band of activists showed up in front of the sparkling new school at the corner of Martin Luther King Jr. Boulevard and Church Avenue. The local press was also there. “We’re just saying what the community wants,” said Rev. Karen Crozier, one of the activists. “We didn’t fight for a white male or female teacher to educate our babies.” Crozier, who appears to be a professor at Fresno Pacific Biblical Seminary, also suggested that a white person cannot teach minority children in this instance because of racism. Sometimes the bigotry and blindness of people just leaves me speechless. In related news, the organizer of a “gay” job fair is outraged that non-gays keep showing up there looking for jobs. After the House voted 421-0 in June to eliminate all bonuses at the Veterans Administration in response to the scandals there, a compromise bill with the Senate has restored most of those bonuses. The compromise bill announced Monday by the chairmen of the House and Senate Veterans’ Affairs Committees says VA bonuses will be capped at $360 million annually for the next ten years. But that cap is just 10 percent below the $400 million in bonuses the VA has distributed in recent fiscal years, and will allow up to $3.6 billion in bonuses to be awarded over the next decade. “In each of fiscal years 2015 through 2024, the Secretary of Veterans Affairs shall ensure that the aggregate amount of awards and bonuses paid by the Secretary in a fiscal year… does not exceed $360,000,000,” the bill says. A description of the bill adds that members expect the VA to implement this cap in a way that does not “disproportionately impact lower-wage employees,” although the legislation itself does not include any restriction on how to award the money. More evidence that our elected officials don’t represent us, but the employees of the government instead. Visiting the underground tunnels of World War I. At the height of the underground war, in 1916, British tunneling units detonated some 750 mines along their hundred-mile sector of the front; the Germans responded with nearly 700 charges of their own. Hills and ridges that provided vital lookout points became riddled like Swiss cheese, while the biggest mines blew out huge craters that still scar the landscape to this day. Even a single small mine could wreak havoc: In the tunnel complex we crawled into, a charge set off by the Germans on January 26, 1915, killed 26 French infantrymen and wounded 22 more. But the underground war was not confined to narrow tunnels. Beneath Picardy’s fields and forests are centuries-old abandoned quarries, some of which could shelter thousands of troops. On a misty morning we explore one such site, located along a cliff edge overlooking the Aisne Valley. We’re led there by the owner of the ancestral property, which we agree not to name to protect the quarry from vandals. Read the whole thing. It reminds me of my experience exploring the mines under Tombstone. These tunnels provide an archeological window into the history of the first World War.